I know that this world must often seem confusing to you. It’s noisy, dirty and filled with adults scurrying about their busy lives without noticing you all that much sometimes. It’s filled with rules and people telling you what to do, mostly without asking what you want to do. It’s also a world where adults teach you about all of the dangers around you, but not as much about the wonderful, beautiful things. You see, things weren’t quite like this when we were kids. We had our rules and dangers, to be sure, but nothing like the ones you face today. Back then (which is not really that long ago), people talked to each other more, neighbors knew one another and schools were less like factories and more like playgrounds. There were less televisions, computers and phones calling for our attention, and there were more open spaces to play like kids are supposed to do. Most importantly, it wasn’t a world where it felt like people were hurting each other all the time. Today, it seems like so many of the things you see — both real things in the news and fake things like in video games and movies — include people hurting each other, hurting themselves and hurting the world around them. It isn’t your fault that things are like this. It’s the fault of us adults, and we’re sorry. I know that an apology doesn’t make it all better. I also know that you might have heard some terrible things lately about children who were hurt, and even killed, at a school in Connecticut. Please know that this horrible thing has a lot of adults feeling heartbroken, and that many of us are determined to work for a world where things like this don’t happen anymore. But we can’t keep everything bad from happening. Most of the adults you know are just trying to live and work in the world, but don’t always control what happens in it. We have appointments to keep, messages to answer, bills to pay and chores to do. All of this leaves us little time for the things that really matter. Sadly, it leaves us little time to think about what the world is doing to all of you. This is not an excuse for our actions. We’ve let ourselves get caught up in the pace of our lives, and we’ve become distracted from the important issues that we all need to work on together. For too long, we’ve ignored your ideas and failed to listen to your voices. If we had, we would better appreciate the sense of wonder and innocence that you represent, how you see things from closer to the earth than we do, how you express your emotions honestly and revel in your imaginative play. Unless adults listen to you more and stop acting like we have all the answers. We don’t. We’ve just learned how to exist in this world, but we need you to help us remember how to live in it. Can you help us? That might sound strange, to have adults asking you to help us, but we really need you to. In return, you can count on us to help you, by making a better world, and mostly by loving you with all our hearts. And that means all of you, every child in the world. We can’t let even one of you go through this life feeling unloved or unappreciated. This means children here in the United States, and all around the world. It means that we have to start thinking more about other people’s children, and about how too many of them are being hurt every day — sometimes even by the choices we make as adults when we buy things, ignore things or focus only on our own lives and forget about all the other people out there. It also means that you, as the future of the world, will have to start learning right away what it means to be a “citizen of the world.” You are connected to people all over the globe and in the places where you live, and this will not change. You are connected to the trees and animals, to the air and water and to everything in nature that provides us with everything we need to live. You are connected to each other, to your families and friends, to the ancestors who came before you, and to the children of your own that you will have someday. Please do not forget this. It is probably the most important thing for you to know. Please forgive us, dear children. Forgive us for not telling you all of this sooner, for not slowing down in our busy lives and looking in our hearts long enough to speak with you rather than at you. Please forgive us for waiting until a terrible tragedy happened to realize how important you all are to us, and how irresponsible we’ve been by not paying close enough attention to the future of the world we’re leaving for you. It’s your world, after all, and we’re just borrowing it. Finally, please know that we love you. We always have and we always will. If you ever felt unloved, it’s our fault and not yours. We can’t fix the past, but we can work together to make a better future. It won’t be easy, but it can be fun: more playing, more sharing, more listening, more friends, more love! Not only will this help you — it will also help us adults remember what it means to be happy, healthy, safe, valued, and filled with joy for life. Thank you, children, for reminding us of this. You are our teachers, and we are ready to learn again. Randall Amster, J.D., Ph.D., is Director of the Program on Justice and Peace at Georgetown University, and serves as Executive Director of the Peace and Justice Studies Association. 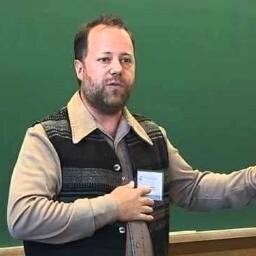 He is the author of books including Peace Ecology (Paradigm Publishers, 2014), Anarchism Today (Praeger, 2012), and Lost in Space: The Criminalization, Globalization, and Urban Ecology of Homelessness (LFB Scholarly, 2008).